Bill joined Trinity as it's Interim Minister in 2017 after spending the last five years in Calgary. Prior to that, he spent 25 years working with congregations and the Division of Ministry Personnel & Education at UCC headquarters in the GTA following a career in consulting and law. Bill earned his M. Div from the University of British Columbia, his B.A from the University of Western Ontario and an L.L.B. from the University of Toronto. "a great day at work starts only half-committed or predictable, and fills up with surprises. I either never work, or always work, often off-site or between my ears and behind my forehead." He divides his time between his home in Southampton with his wife and 'The Garret' in downtown Kitchener. In his free time, he is updating his workshop, Life Plans, which equips people to have meaningful conversations about wills, funerals and their estates with their lawyers, financial advisors and funeral directors. Katharine grew up on a farm north of Owen Sound and attended Owen Sound Collegiate and Vocational Institute before earning a B.A from the University of Guelph in X. She later attended the Centre for Christian Studies in Winnipeg and Conestoga College where she studied Y.
Katharine was commissioned in 1986 and has served as a minister to Conestogo United and Highland Road United, as an associate minister to Calvary United in Kitchener and Trinity United in Guelph (among several other congregations). Katharine has chaired several Presbytery committees for the United Church of Canada, including Waterloo Presbytery, and served as President of the Hamilton Conference. She has been a member of the board of both Emmanuel College and Five Oaks Education and Retreat Centre. Katharine enjoys visiting with people and learning their life stories, knitting, reading and pursuing artistic endeavours. Dorothy joined us in August 2015 following a career as an educator working in the Northwest Territories, a First Nations community in Northwestern Ontario and here in K-W. She holds a Bachelor of Arts degree from the University of Waterloo, an Honours Bachelor of Outdoor Recreation degree from Lakehead University, and a Bachelor of Education Degree from Nipissing University. Dorothy grew up in South America and has a working knowledge of Spanish and Portuguese and a smattering of Ojibway. Dorothy has been extensively involved in women's field hockey as a player, coach and umpire. She has seen some of her players and umpires succeed at the national and international levels. As part of the Ontario Bi-Centennial Celebrations in 1984 Dorothy paddled by voyageur canoe, over a two month period, from Lachine, Quebec to Thunder Bay, Ontario re-enacting the life of a Northwest Company voyageur. Hayden joined us in 2018 as our Choir Director. She is also a full-time student at Wilfred Laurier University studying music education. Hayden study's practical voice in the studio of Daniel Cabena, and is a member of the "Laurier Singers" chamber choir under the direction of Lee Willingham. 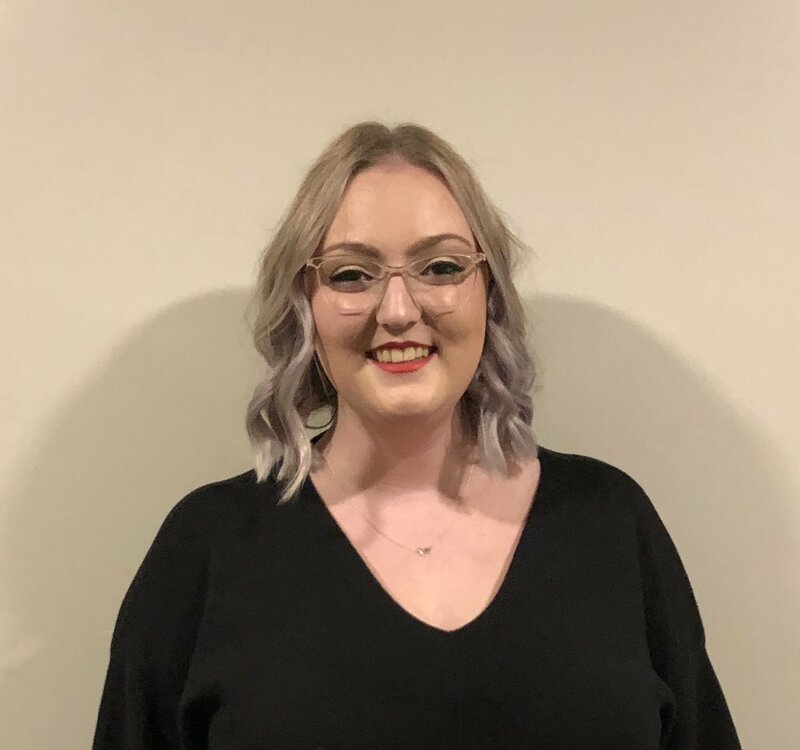 Hayden is from Port Perry Ontario, where she took part in as many choirs as possible, sang at community events and also directed her own small ladies ensemble. Hayden is thrilled to be a part of the musical adventure that lies ahead with Trinity United Church. Originally from Windsor, Ontario, Chris joined us first as a Choral Scholar and now serves as the accompanist to the Chancel Choir. Chris began playing the harp at the age of the 3 under the tutelage of Anita Leschied and voice with the Windsor-Essex Youth Choir, under the direction of Susan Belleperche alongside various other community ensembles and chamber groups. Chris is now in his third year at Wilfrid Laurier University, studying harp performance. Chris has since been fortunate enough to play with ensembles such as the Kitchener-Waterloo Chamber Orchestra, Waterloo Chamber Players, Vera Causa Opera, and the Richmond Hill Philharmonic Orchestra. Chris is hoping to further his career at the Guildhall School of Music and Drama, studying performance and orchestral artistry.